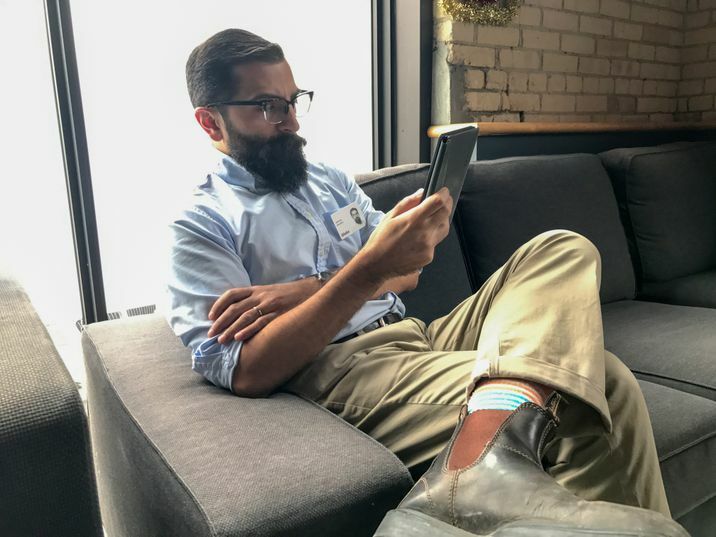 Nathan Maharaj, Kobo’s Merch Director & Head Bookseller enjoying a read inside the Kobo Cafe. This year I stopped worrying and embraced the thrill and uncertainty of reading series. In addition to my annual tradition of reading another of Elena Ferrante’s Neapolitan novels at some point in the summer (only 1 more to go), I started Stephen King’s The Dark Tower series with The Gunslinger and an Afro-SciFi series called Binti, written by Nigerian-American author Nnedi Okorafor; the third installment comes out early next year. I also read Okorafor’s first book in the Akata Witch young-adult series, which has a strong Harry Potter vibe if fantasy is more your thing. 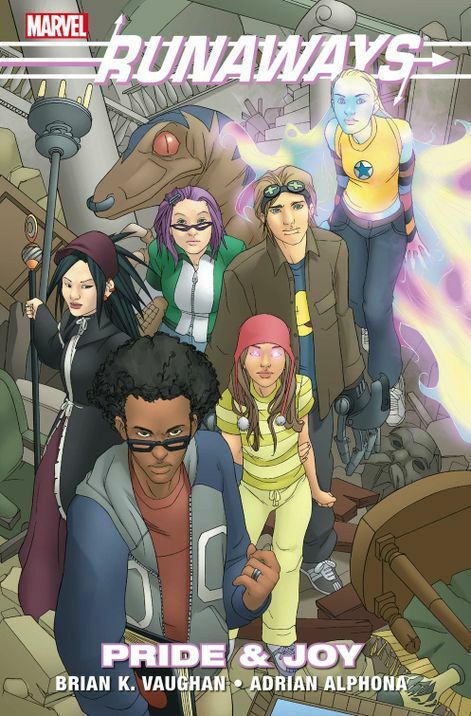 Extending my love of Brian K Vaughn’s Saga graphic novel series, I started Runaways and then discovered that it’s just been released as a TV show--and rebooted as a comic by Rainbow Rowell, another writer I adore. It seemed like Roxane Gay was a writer you couldn’t ignore this year if you were a certain kind of reader--like me, for example. In the span of just a few months she put out a memoir, Hunger, and also a collection of short stories called Difficult Women. I read the latter, and it was an experience I won’t forget. Gay’s got an eye for the emotional truths that lie just beneath the surface, and she often leaves me questioning how honest I’m being with myself. I hesitate to describe any of the stories in any detail, except to say that the themes that run through them can be emotionally tiring if you try to binge through the book in one go. I recommend dipping into this while reading other things in between just to keep your head. 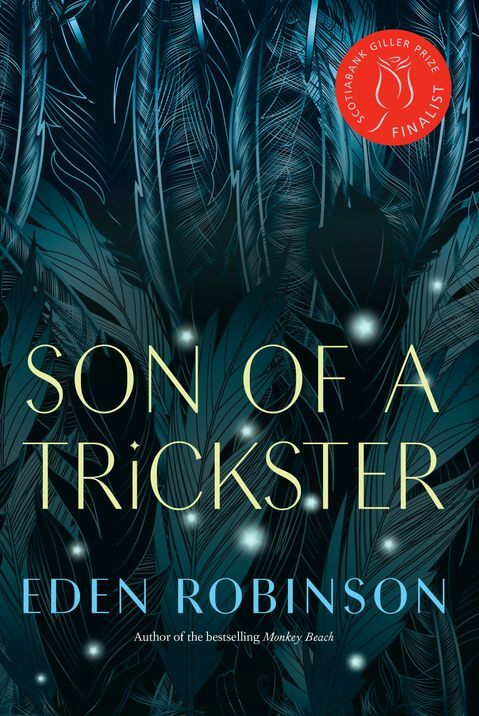 Mid-way through the year my colleagues started buzzing about the latest novel by Eden Robinson, Son of a Trickster. Though I hadn’t read her before, I knew she was a writer of high esteem, but people were talking about this book as a bonafide page-turner. Few novels as exquisitely crafted will keep you up as late as this one. And it too turned out to be part of my series-starting trend, as the author intends to follow it with two sequels. Speaking of page-turners, when I started reading Fierce Kingdom on the streetcar on the way to work, by the time it was my stop I was thinking of whether I could use half a vacation day to just sit in a park and finish it. (I didn’t end up taking the vacation day; but I made sure to get a seat where I could read on the ride home.) It’s about a mother and her four-year-old boy visiting a zoo shortly before closing time, but before they start walking towards the exit they hear gunshots. I won’t spoil anything for you. That’s the setup that sold me on it--go read it. I also loved and very quickly devoured David Chariandy’s Brother. You can find out more about that in another blog here. I’m a big fan of the blog The Co-Pour by Melissa & Jonathan Nightingale. It’s full of uncomfortable insights about management and work. I can honestly say that the things I’ve read there have changed how I approach some pretty broad areas of how I work. 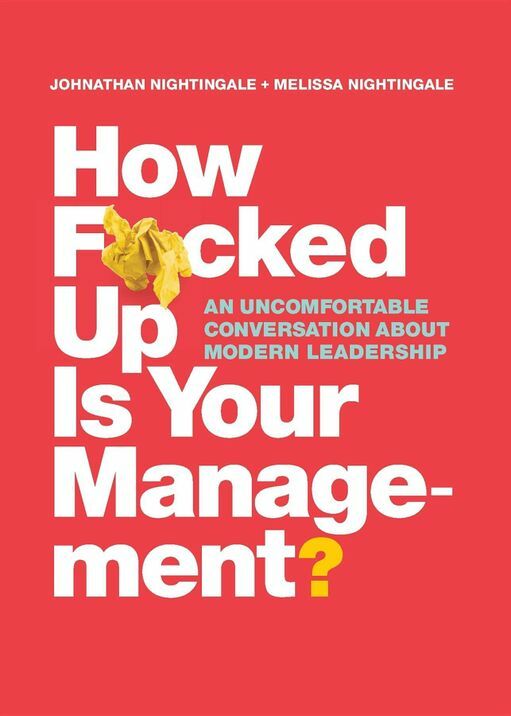 Because every post on the blog is worth re-reading, so I was happy to hear they were packaging up some of their best work in a book, the very on-trend-titled, How F*cked Up Is Your Management? I’ve always got an audiobook on the go, but this year was special because I did a lot of my listening as part of beta testing audiobooks on the Kobo App before we launched into the format. I spent the summer with Belgravia, which was written by Julian Fellowes, the creator of Downton Abbey (and the screenwriter on the wonderful Robert Altman movie, Gosford Park) and it was an absolute delight. All the intrigue, romance, and wit you’d expect from Fellowes, and a nice reminder that he’s got many more tricks up his sleeve since Downton ended. 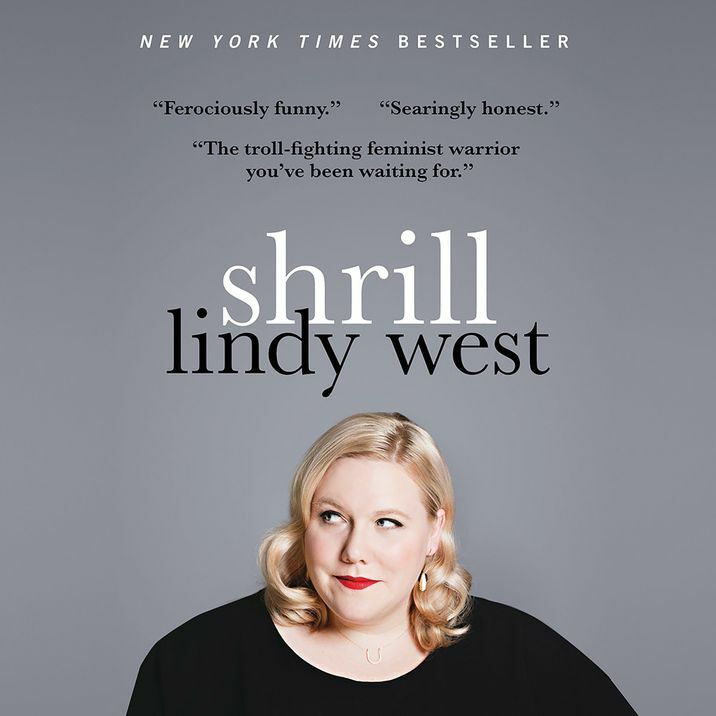 I’m sorry I put off listening to essayist Lindy West’s Shrill for as long as I did. I knew and had enjoyed her work on the podcast This American Life, but I didn’t realize how painfully funny she is. And she’s a fantastic reader of her essays: familiarity with her as a voice in my headphones made me try this as an audiobook, but her performance shows what a great comedic writer and performer she is as I spent a lot of this grinning and often laughing out loud. I decided to revisit an old favourite, Ralph Ellison’s Invisible Man, back in February, as part of a self-imposed annual challenge to read only black authors during Black History Month--though obviously I don’t confine myself to works of non-fiction. I chose to listen to it this time around, and I was so glad I did. The novel is every bit as brilliant and wild as I remembered it, and actor Joe Morton’s performance is incandescent. His command of every moment of every scene is astonishing: this is not a short book and I can’t imagine what kind of planning went into structuring his performance. I’m sure I’ll read this book again sometime, but it’ll be Morton’s voice in my head even if I’m just looking at words on a page or screen. I’ve listened to dozens of audiobooks, maybe hundreds, and this one is easily top 5 overall. As I write this I’m mid-way through Naomi Alderman’s near-future sci-fi novel The Power. It’s about an outbreak of girls and young women discovering an organ in their bodies that allows them to produce electrical currents at lethal levels, which turns out to affect all women everywhere. It’s a really smart and gripping book that reminds me of Margaret Atwood’s best science fiction work--another literary page-turner. (Atwood did mentor Alderman, but nothing about The Power feels forced or unoriginal.) It’s late now as I write this and I’m looking forward to crawling into bed and sneaking in another chapter of this on my Kobo before I fall asleep. When I look back on the year it seems like the number of books I read towers over previous years. It’s hard to pin that to any reason other than I think I just got lucky, picking up things that pulled me through to the last page, and then I always seemed to have something good to crack open immediately afterward. There’s plenty I didn’t get to that I’ve already forgotten about, but still more in the list ahead of me of books I’m really looking forward to, even if I don’t get to them in 2018.